Our center has extensive experience treating common and rare disorders of the ear. The ear is filled with tiny, delicate structures that affect hearing, balance, and facial movement. When you have a problem with the ear drum or middle ear, surgery might be needed. But the kind of surgery you have can impact how successful the procedure is and how long it takes to recover. We are pioneering minimally invasive techniques for ear surgery using high-definition endoscopy. Accessing internal ear structures through the ear canal – rather than through the skull with traditional, open surgery – offers several benefits for our patients. What is endoscopic ear surgery? Transcanal endoscopic ear surgery (TEES) is minimally invasive surgery that accesses the middle ear through the ear canal, without having to make an incision behind the ear and move the ear forward, as is done in traditional inner-ear surgery. We use specially designed endoscopes – very narrow instruments with a light and a high-definition camera – to see and operate on the delicate structures within the middle ear. We see people of all ages, from just a few months old to middle-age and older adults, who have conditions affecting the ear. Most ear problems aren’t life-threatening, but they can greatly affect a person’s quality of life. Some conditions can press on or destroy nearby healthy tissue, such as the tiny ear bones or nerves, which can cause hearing loss, dizziness, or facial paralysis. 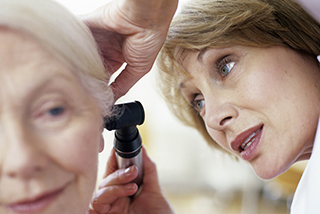 Often, surgery is your best treatment option to preserve hearing and prevent serious complications. Endoscopic ear surgery offers a less invasive way to treat those problems. Most ear problems are not life-threatening, but they can have a large influence on a patient's quality of life. With traditional ear surgery, neurotologists (specialists in neurological conditions of the ear) typically make an incision behind the ear to lift it forward, off the mastoid bone (part of the skull). In some cases, we have to open up the mastoid bone to access the ear structures for treatment. Since the 1950s, surgical or operating microscopes are what neurotologists use to see structures in the middle ear during traditional, open surgery. But microscopes give us only a straight-line view – we can’t see around corners or into the hidden spaces of those internal ear structures. An endoscope is a very thin, narrow tube with a light at the tip, which allows the camera to be closer to the structures of interest with better visualization. The endoscope provides a wider field of view compared to a microscope, so we can see into the recesses that we can’t view with a microscope. A condition we commonly treat with TEES is cholesteatoma, a collection of skin and dead skin cells in the middle ear that can become infected and spread into hidden recesses. With endoscopy, we can see into these areas that traditionally required more extensive bone removal to access with a microscope. Our center began performing TEES in 2014, and as a result, we have a lot of experience treating both common and rare conditions affecting the ear. 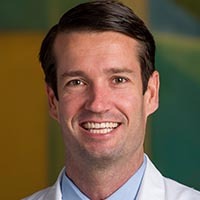 UT Southwestern was the first center in the U.S. to use endoscopic ear surgery to remove an acoustic neuroma– and we’re still one of the few centers in the country that offers this approach. Acoustic neuroma is a noncancerous tumor that grows on the hearing and balance nerve that connects the inner ear to the brain. As otologists, we’re focused on managing both children and adults with ear conditions. Ken Lee, M.D., Ph.D.,Gopi Shah, M.D., and Christopher Liu, M.D., are pediatric otolaryngologists who treat ear disease in children using TEES. Our group teaches endoscopic ear surgery at local, national, and international courses and meetings. 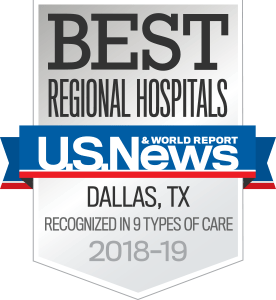 In addition, we have published numerous papers and book chapters on TEES, and, at UT Southwestern, our team educates residents and fellows in how to use the procedure. Our team is continuously evaluating our patients’ outcomes after surgery to compare traditional, microscopic surgery, and TEES. A few research studies have looked at patients’ postsurgical pain after both procedures, and there is evidence that the endoscopic approach results in less pain. We’re also evaluating recurrence rates and hearing results in patients with cholesteatoma to see whether TEES or microscopic surgery provides better results. In addition, we’re presenting research on our results from treating other ear conditions and how TEES affects the treatment of these problems. We want to find out whether endoscopy is providing benefits over traditional surgery – and even if the outcomes are the same, whether patients might be getting other, less measurable benefits. For example, can people go back to work and other activities sooner because they don’t have an incision behind their ear? Find out more about endoscopic ear surgery and the conditions we treat. 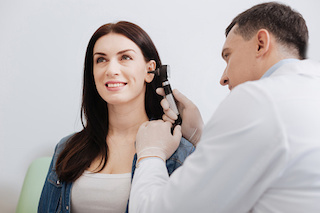 If you’re considering surgery for an ear condition, we can answer your questions and help you choose the right treatment for you. Call us at 214-645-8300 or request an appointment online.